Any student or faculty member participating in a Project Management Institute (PMI) certification program will certainly appreciate Project Plan 365. After all, everyone here at Housatonic have been there, done that - and we've designed Project Plan 365 specifically to assist anyone following PMBOK processes, best practices, terminologies and guidelines (just like we do). We have even developed a project-plan template that corresponds with each section of PMBOK, from Initiation to Closing. That's sure to help any student of PM get started with a project plan of their own. 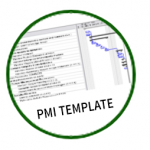 To get started building PMI-compliant plans, simply download a free 30-day trial of Project Plan 365. Even those not involved in PMI-related programs will appreciate Project Plan 365's features and functions, after all, even an administrator at say St. John’s College needs to efficiently and effectively manage ongoing projects. 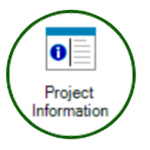 Project Plan 365 includes a visualizer for laying out projects, a database for related project data, a scheduler to build plans based on project data, and a report & dashboard generator to communicate project progress and highlight milestones achieved. In addition, the Business (PMO) plan subscription plan allows your learning institution to set up a true Project Management Office, just as thousands of successful businesses have done. Having a PMO at your institution of learning is a sure way to see all of your project work - in one portfolio glance - as well as helping any busy administrator keep track of time, money and people. While many software providers offer small discounts for students and faculty, we go one step further and offer our software for free to any institution providing PMI-related training, and is currently helping students obtain PMP, PgMP, PfMP, CAPM, PMI-PBA, PMI-ACP or PMI-RMP certification. We consider this our way to “pay it forward” to those coming up behind us, in hopes that Project Plan 365 software can help students during their studies - and well beyond into their careers as project managers. For instructions on how to apply for this extraordinary discount, tap here for details of this offer, and then contact us to discuss. Neosphere is a training institute that offers a diverse range of professional development programs, such as certifications in Software Development, Database Administration, Digital Media Marketing, Graphic Design and Project Management. As part of the Project Plan 365 University Licensing Program, participants in the Project Management stream are using Project Plan 365: Individual (PM) plans for classwork, and to achieve their goal of becoming a certified project manager. In addition, Neosphere will soon be installing Project Plan 365: Business (PMO) plans, allowing students to practice portfolio management on a larger scale. "We previously trained our students using Microsoft Project softwares, but our students found it complicated, and our Finance Officer found the setup ridiculously expense for larger class sizes. So having Project Plan 365 is a real crowd pleaser; our students and our budget love it."